My girl friends and I recently spent a weekend at the beach to celebrate our 30th birthdays. Since there was a lot of red vino involved, an all-white outfit was risky, but there's something about white on white that feels so fresh and summery that I couldn't resist. 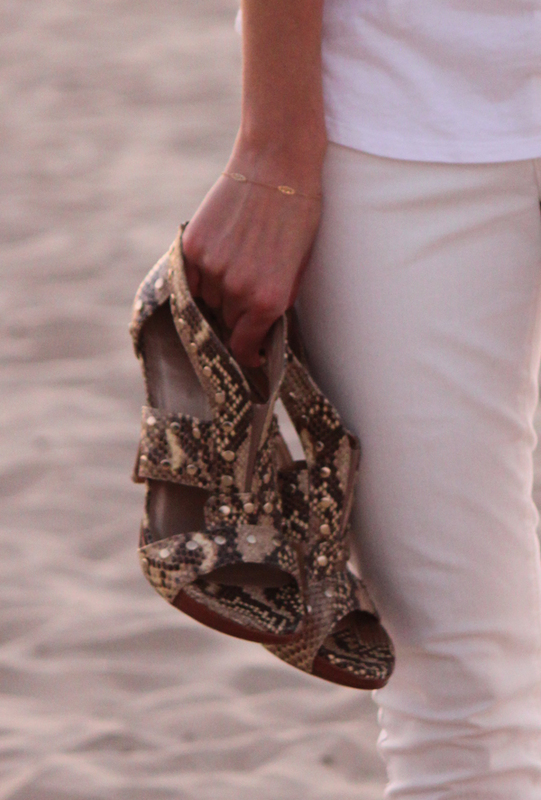 For dinner out, I dressed up my whites with a killer heel and a gorgeous wrap watch borrowed from one of my besties. Because sharing accessories—and staying up all night gabbing over wine—is what friends are for, right? Gap tank (last seen with cut-offs). Old Navy jeans. Stuart Weitzman heels (from spring 2010; love this version). 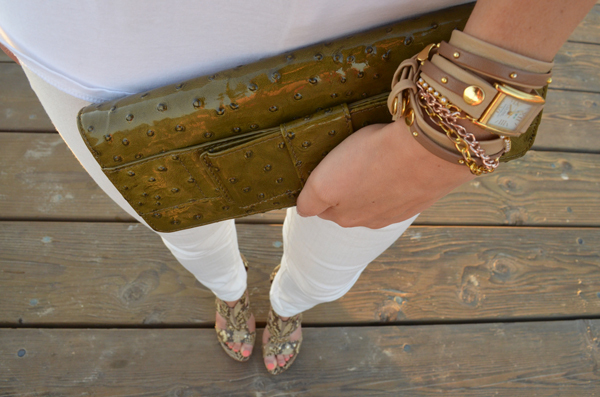 Michael Kors clutch and aviators. La Mer Collections watch (similar). Thanks, Caity! My friend's watch sure is fabulous, isn't it? There were definitely some close calls :) xo! You are so beautiful ! Great look !